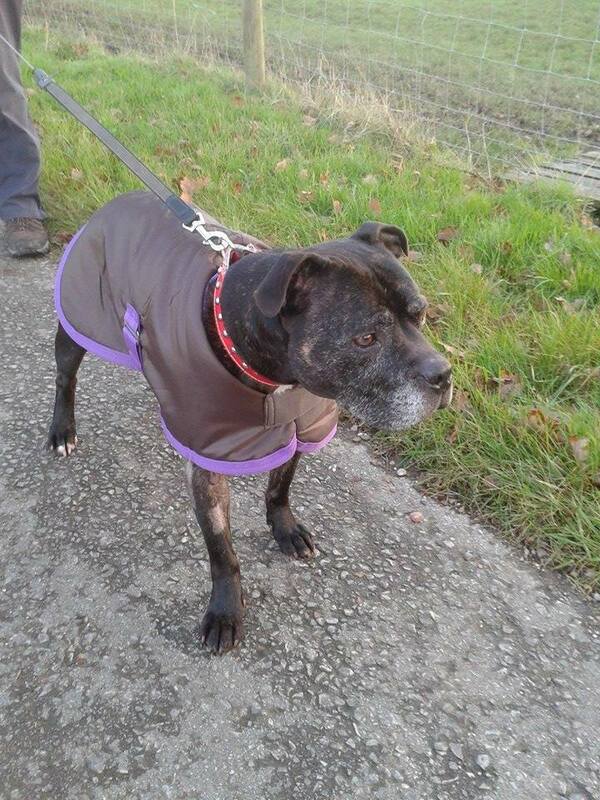 Hugo 10 year SBT needs a new home kennels Stafford. Dogs: Yes - could live with a female - perhaps with a male - pending introductions. Hello I am Huggly Hugo! I am currently looking for a new home, as I was left with no where to go Sad I am a happy chappy, and LOVE to be around people, laying on their laps, giving them kisses and playing. I absolutely ADORE my walks, and am very good on the lead! My recall is good, and will come back from the end of my lead to you, when you call my name! I know sit and a few other basic commands Smile But I am willing to learn more … so would you teach me? I have spent a might at a volunteers home and I was very good boy - very obedient, non destructive and housetrained. I am currently in the Senior Staffy Club kennels in Staffordshire, so if you would like to come and meet me, why not ask the humans at my rescue, and they will let you see my ADORABLE face! The volunteer people that come and walk me have said that I am VERY lovely, I have a lovely big bucket head and I am simply adorable to be around! So will you come and take me home with you? … PLEASE?! Hugo is neutered, vaccinated and microchipped . however you should be prepared to visit him where he is. Have you got the time, the sofa, and the love to give Hugo a forever home to see out the rest of his days? seniorstaffyclub@hotmail.co.uk or call Norris on 07817 559 886. Re: Hugo 10 year SBT needs a new home kennels Stafford.